Nicholas B. Suntzeff, university distinguished professor of physics and astronomy at Texas A&M University, has been named a co-recipient of the Breakthrough Prize in Fundamental Physics for his role in the 1998 discovery of the accelerated expansion of the universe. The prestigious award, considered the world’s most lucrative academic prize at $3 million, recognizes major insights into the deepest questions of the universe. Suntzeff shared in the international honor along with 50 other scientists who are members of the two teams that simultaneously discovered the mysterious substance known as dark energy and, consequently, unexpected proof of the universe’s accelerating expansion. 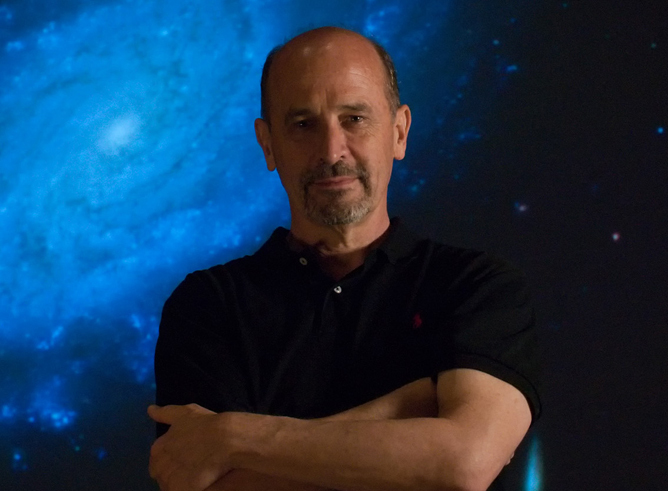 Suntzeff co-founded one of those teams, the High-Z Supernova Search Team, along with Brian P. Schmidt, an astronomer at Australian National University. Schmidt was recognized at last night’s star-studded awards ceremony in California along with High-Z teammate and Johns Hopkins University astronomer Adam G. Riess and University of California, Berkeley astrophysicist Saul Perlmutter. Riess, who served as lead author on the High-Z team’s 1998 Astronomical Journal paper announcing the group’s ultimate discovery, was a graduate student finishing his Harvard University thesis at the time, while Perlmutter headed up the competing team, the Supernova Cosmology Project.